We welcome 2 pets per apartment home. There is a $500 one-time (non-refundable) pet fee charged upfront at time of move-in. Pet rent is $50 per pet per month. There is a weight limit of 75 pounds per pet, and aggressive breeds are prohibited. Located near Rutgers, these apartments for rent in New Brunswick, NJ blend traditional refinement with modern charm. 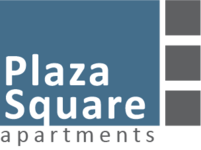 Each of Plaza Square Apartment’s phenomenal amenities has been designed to maximize your comfort and make Plaza Square feel like home. Whether it’s time to work or play, Plaza Square Apartments supports your needs. The business lounge with multiple computer stations, business-style chairs and a stone conference table provides the perfect setting for conducting professional affairs. Likewise, should you need to host a meeting, the conference room is the ideal meeting space for the busy executive. When it’s time to unwind, the shimmering pool and sauna are waiting to indulge you. If you’d prefer to work up a sweat, you can opt to practice your Crane pose in the yoga stretching room or utilize any of the state-of-the-art machines in the health and fitness studio. With respect for your busy schedule and your precious time, Plaza Square Apartments is also pleased to offer package concierge, valet dry cleaning and convenient garage parking. For more information or to schedule a tour of Plaza Square Apartments, contact the leasing office.